New Things Happening At Thrive! We are pleased to welcome Craig Dolmage to the team of Thrive personal trainers. Craig was born and raised in Grants Pass and recently graduated from the university of North Dakota with a bachelor’s degree in exercise science. He played football, basketball and baseball during high school and continued to play baseball at Linfield College for two years before transferring to the university. Craig recently moved back to Grants Pass and we are happy to have him Thrive! In addition to helping the Thrive members with their workouts, Craig is available for one-on-one personal training and is also offering a new small-group personal training class “The Competitive Edge.” This class is held twice weekly (Tuesday & Thursday) at 6:30 p.m. in the great outdoors. You will get a competitive edge with H.I.I.T (high-intensity interval training) using equipment and your own body weight. The fee for the 4-week (8 class) session is only $55 for Thrive members ($70 for non-members). Glen is leading hikes through the summer and all are invited! There is no cost to join…but please RSVP so we know how many to expect …and so we don’t leave without you! Saturday, July 13th he will guide a hike to Rainie Falls. Meet at Thrive Wellness at 7:00am to get an early start and enjoy the cool of the morning. Bring water …and your family and friends, too! 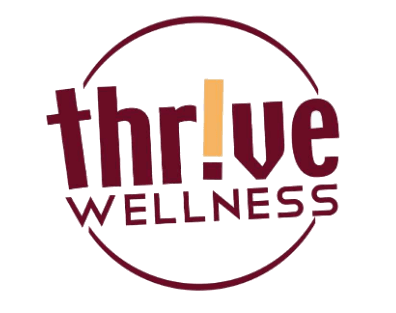 In our quest to provide wellness to the whole person, Thrive Wellness now offers career consulting services. Career Direct is an in-depth assessment that will help you to understand your personality, interests, skills and values and how you can discover the best career path for which you are uniquely designed. The assessments can be useful for high school and college students as well as adults considering a change in career or even those considering the best match to volunteer their time. Too many times student graduate with student debt and a degree in a field in which they are not well-suited. Isn’t it too rare to hear one talk of their profession with enthusiasm and passion? It doesn’t have to be that way! As the adage says, ”choose a job you love, and you will never have to work a day in your life.” Together, with Career Direct, we can help you discover the job you’ll love! Call Virginia for more information. Congratulations to Chris Petty who recently earned her certification as an ACE (American Council on Exercise) Health Coach! ACE Health Coach emphasizes fitness, nutrition and the science behind true behavior modification. As the only certification of its kind accredited by the National Commission for Certifying Agencies (NCCA), ACE Health Coach helps professionals connect with people in a way that makes them not only want to change, but believe they can do it long term. Chris joins Debbie & Virginia as ACE-certified Health Coaches. Chris is multi-talented…she is also a Yoga and Zumba instructor (Wednesday at 5 & 6pm) and a fabulous Aesthetician who offers facials and Synergie facials.